Change has always been a necessary aspect of life and work, and our world is changing more rapidly than ever. If your staff will need to cope with a variety of changes in the near future, the success of the change initiative as well as their success and professional and personal fulfillment depend on how well they can adapt to change. 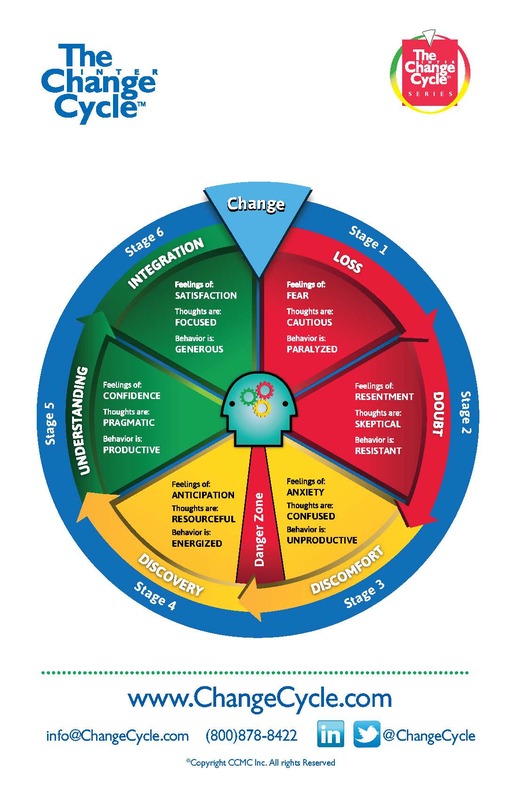 People react, respond and adjust to change in a sequence of six predictable stages (see graphic below). The Change Cycle is a model that identifies the thoughts, feelings and behaviors associated with each stage of change. There is no better map to assist individuals in navigating through the changes in their life. Change management is beneficial for any organizational changes that are being implemented: restructuring, HR policy changes, IT projects, moving offices, new leadership, organizational culture changes, and so on. 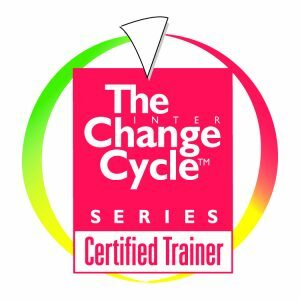 PMC can provide a variety of workshops to assist managers in leading change or teams in adapting to change, using a proven change management methodology that works across all types of changes. All workshops can be modified to suit your organization’s needs. Depending on the nature of the change initiative and the intended audience, workshops can vary in length from a half day to four days. 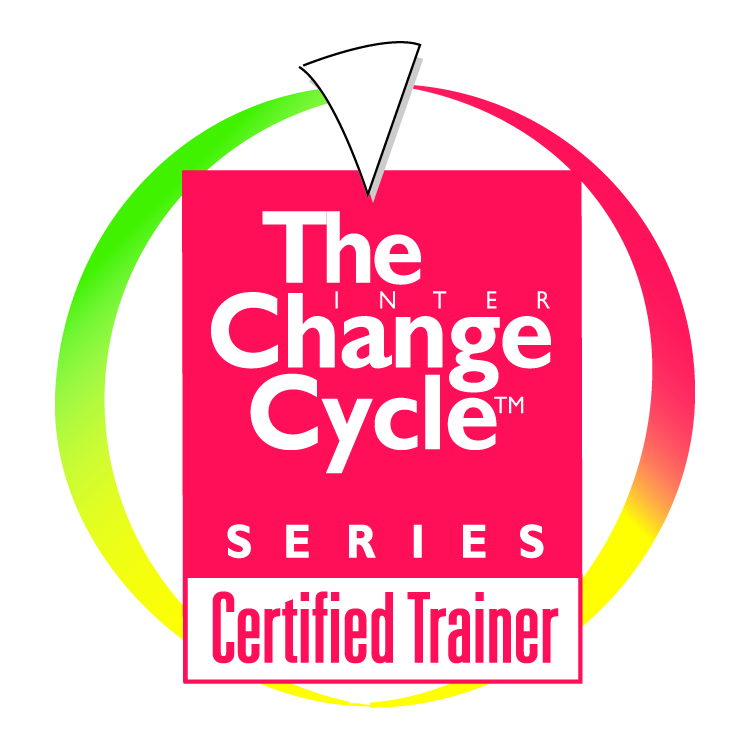 Based on the length of the course, we can provide an overview of the key points, and/or specific tools and techniques to help managers or staff deal with change.